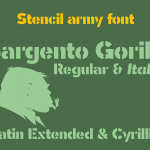 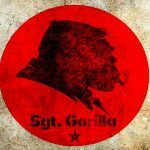 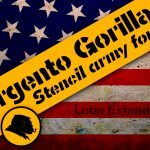 Sargento Gorila is a military style, sans stencil typeface. 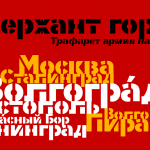 Includes the Cyrillic alphabet and Latin Extended-A, several monetary symbols, alternative letters and various ligatures. 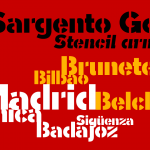 Sargento Gorila can be used unlimited for both Commercial and Personal projects. 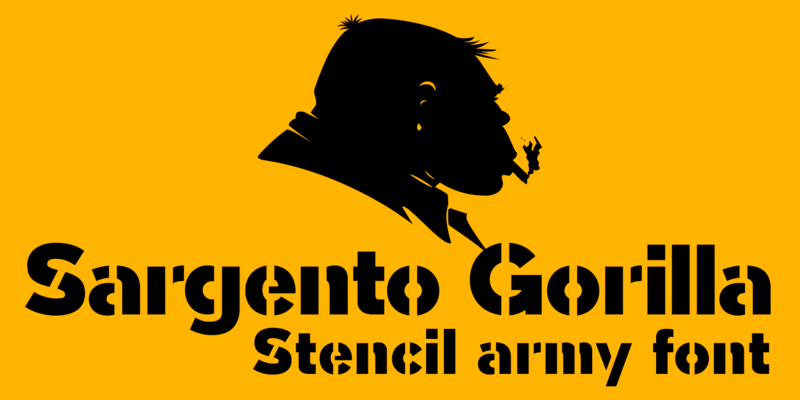 OpenType features compatible with: Photoshop, Illustrator, QuarkXpress, Indesign, Microsfot Word. 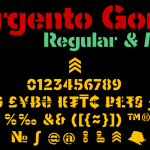 A font family published by defharo on Sunday, March 5th, 2017 that has 2,679 views so far.